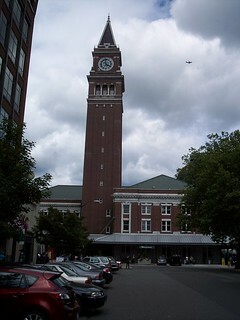 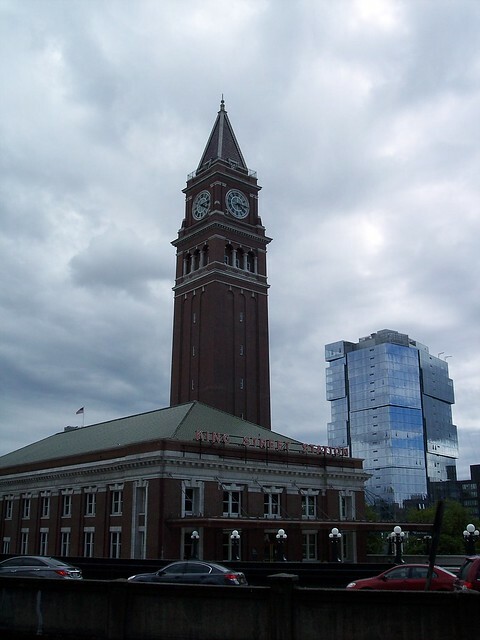 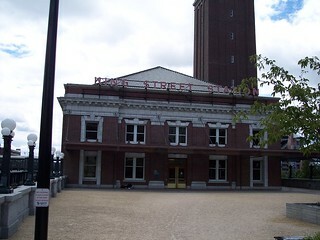 The upper level of the historic King Street Station in Seattle. 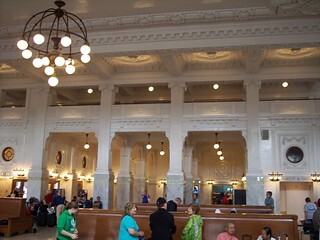 We arrived at this station on both the Empire Builder and the Cascades. 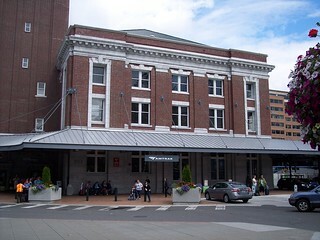 The upper and lower entrances to the station. 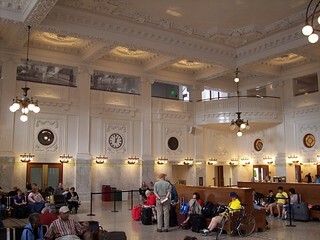 Inside the main waiting room at the station. 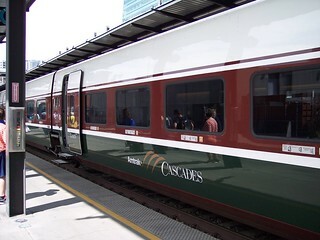 Our Empire Builder and Cascades trains. 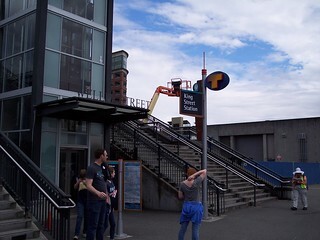 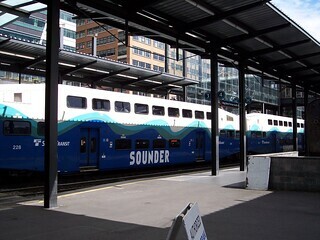 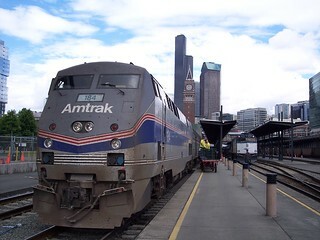 The Sounder commuter train and platform. 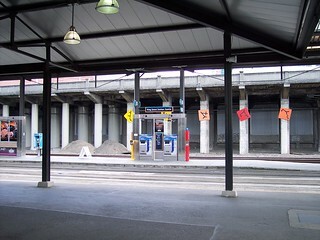 One of the entrances to the commuter platform.